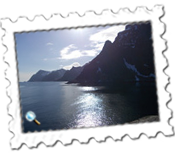 My fascination and love of Norway continued with my third visit in as many years, this time to just above the Arctic Circle to the Lofoten Islands. A fellow bell ringer had encouraged me to go and, for all my travels, I am hard pushed to find a more idyllic and magical place. 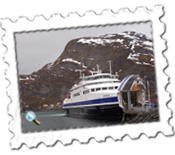 I flew with Norwegian from Gatwick via Oslo to Bodo and have always found them good. It’s bizarre but you don’t actually see many ground staff. There are plenty of self-service machines to check yourself in, attach the sticker to your bags and, now, there is no-one at the bag drop desk either. Having usually preferred to check in with a human body, I was initially slightly perturbed when, having scanned my bag and hoped to have it whisked away, I found it declined for being too heavy... There was a reason for this and not entirely my usual frugality knowing how expensive Norway is. 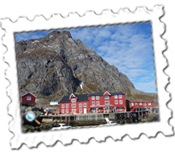 I had been in touch with the owner of the hotel on Lofoten where I would be staying and she told me that I was going in low season and that the one restaurant in the vicinity was closed. Result! I could take my tins, rice, beer and wine but it did take me over my 20kgs baggage allowance. Fortunately, a Norwegian staff member close by who told me to redistribute my two bags and all was well. The bag was infinitely lighter on the return. The Radisson Blu again came up trumps for me in Bodo with a wonderful harbour-facing room, superb breakfast and a sauna so hot that I couldn’t stay in there too long. It cured my recent back problems. Bodo itself is a not an unpleasant place: there are building works going on so the cranes spoil the skyline to a degree but it was a pleasant place with nice views and acted as a useful base for my onward flight with Wideroe to Leknes on the Lofoten Islands. It’s rare that I can occasionally walk to an airport but it was just a ten minute gentle walk from the Radisson to Bodo Airport and, having experienced possibly my shortest flight between Tallinn and Helsinki recently, this one to Leknes was shorter. Twenty minutes. 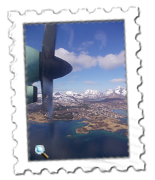 A magical flight too in a propeller job and the views coming in over Lofoten were memorable. It was terrific fun and, naturally, the bags were off and on the conveyor belt within a couple of minutes. I walked into Leknes to take one of the rare buses to A i Lofoten two and a half hours later. Actually, this place, usually shortened to A, is not pronounced A or, trying to be clever, R, but O. How much consternation can a place of one letter cause? Anyway, Leknes is the most northerly place I have been to but I am planning to go higher. The bus drive was terrific. 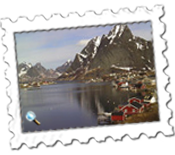 Lofoten is a place of high, snow-capped peaks, delightful hamlets and a dream coastline. Maybe the photos within this article will better articulate how beautiful it is. The driver let me off outside the youth hostel where I was staying – that made me feel good staying in a youth hostel! – and the delightful owner welcomed me to “the end of the earth”. 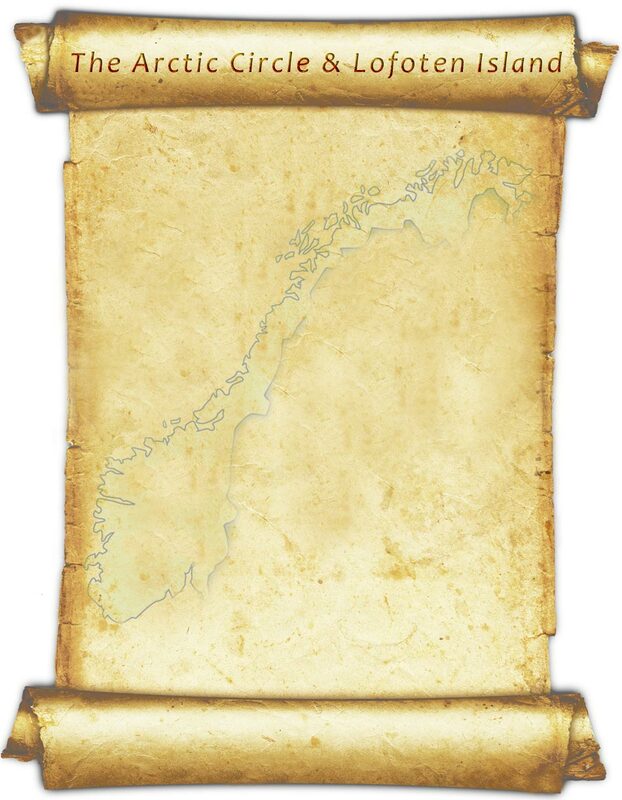 A – sorry, there is a tiny o above its name which my English/American computer cannot, as far as I know, compete with – is a coastal hamlet at the heart of Lofoten’s cod fishing industry as the thousands upon thousands of fish on drying racks bears testament to. 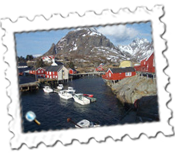 It is a wonderful spot towards the southernmost tip of the large range of islands which make up Lofoten and, surrounded by mountains, this quaint little place I found magical. 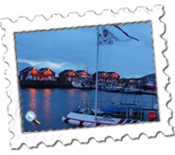 The Youth Hostel is within the fishing museum and also has sixteen Rorbuer – literally seamen’s cabins. My room was fine and the kitchen was quiet enough at this time of year for me to make use of my tins and rice and make an adequate meal on both nights. 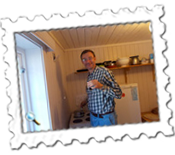 The charming owner, Elin Granier, adopts a trustworthy stance which is much appreciated: pay on arrival and, unless you book online, no need for deposits. My third visit to Norway was again at the same general time of year and I still find the light evenings and nights bizarre. It didn’t stop me sleeping pretty well, though, and the next morning I went for a fifteen mile return walk to Reine, which must be one of the most idyllic places I have ever visited. 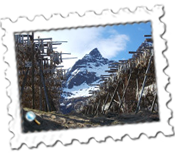 Set amidst a backdrop of snow-capped mountains, this small village has rorbuer, a church and the ubiquitous cod in vast numbers set out to dry. The coastline is dramatic and I was lucky with the weather and, back around 1pm just as the rains came, I didn’t mind a quiet afternoon making lunch, reading and sleeping. A longish wait ensued before my flight down to Oslo but I put up again at the very decent Park Inn at Oslo Airport which was the first hotel I stayed at in Norway. 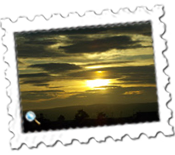 It’s nice, I even had a reasonably inexpensive meal – lasagne again for financial reasons – and saw a rare sunset from my room, Oslo being more southerly. A midday flight back to Gatwick arrived on time and, surprisingly, in decent weather but I soon remembered that I was back home when confronted by the most impolite and surly immigration person that I have ever been subjected to. Welcome back – not for long, though, because it’s only a couple of weeks before I’m off on the trail, I hope, of Where Eagles Dare and a bit of pampering in a Steigenberger in Austria close by.